Nearly 30 years after the discovery of the last antibiotic, a new bacterial culturing technique may end the drought of new medicines. Scientists have discovered 25 new antibiotics using a new lab technique which will hopefully discover many more. One of these new antibiotics, called teixobactin, has shown promising results in treating gram-positive bacteria such as MRSA and bacterial tuberculosis. The researchers are also hoping that harmful bacteria won’t gain resistance to teixobactin for at least another 30 years, as it uses an unusual multi-pronged attack that will be much harder for any germs to combat. It hasn’t been trialled on humans yet, but the test mice have responded very well. If human trials also go well, it may finally be possible to treat some of the nasty multi-drug resistant superbugs that have been troubling doctors for many years. story here is the new technique. Traditionally, bacteria are grown on agar plates in a lab, but this new technique uses soil as the culture medium where bacteria feel at home and are happy to grow. This may not sound as interesting as a new superbug-killing drug, but teixobactin comes from the 99% of bacteria that have never been cultured, and without this technique it would never have been! This 99% is an untapped treasure trove that researchers were unable to culture in a lab environment until now, and this unexplored group could hold the secret to treating any number of infectious diseases. If these new antibiotics are everything that they appear to be then it’s an easy bet that the team from Northeastern University in Boston, Massachusetts, will be up for a Nobel Prize. Perhaps they will have a more positive message than Alexander Fleming, who in his Nobel Prize speech for the discovery of Penicillin, couldn’t resist presciently warning everyone of the dangers of over use. It has all come just in the nick of time as well, as we were all starting to prepare for the worst. 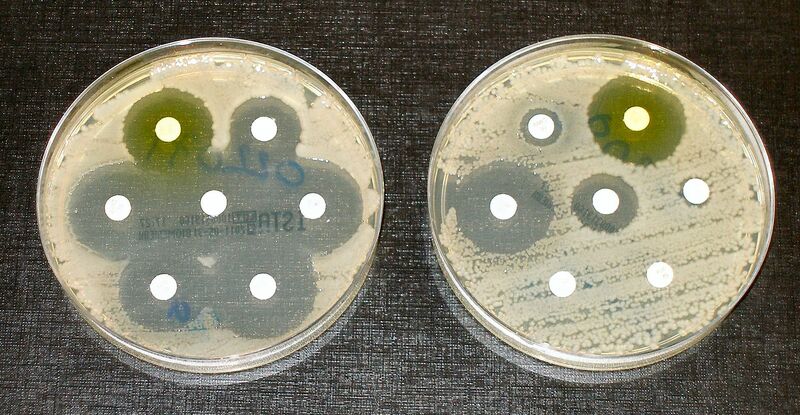 A horrid future of antibiotics slowly becoming useless as more and more bacteria became resistant to them. Hopefully, that is no longer the case.